Readers, I'm stunned. Yesterday I attempted to plant the seed of prosperity in your lives with some timeless New Age wisdom and you responded with a shopping list worthy of a wedding registry at Bed, Bath & Beyond. To think that your great grandmothers treadled their calves raw with no electricity and just a rudimentary straight stitch and probably clothed the entire family. There were no self-healing cutting mats, no sergers, no embroidery machines. And not to make an example of Nessa, no Sunbeam Mixmasters. And grateful great granny probably shared her sewing room with eight children and a cow! 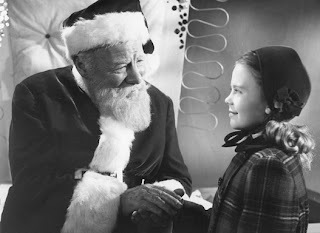 Seriously, though, I predict that at least half of you will get what you wished for by year's end. The other half, well, it doesn't look good. And on the subject of modern miracles, the universe has restored me to health with just a little residual morning phlegm! 1) I decided to give pattern drafting another try, this time using Donald McCunn's How to Make Sewing Patterns. As he suggests, I broke the book binding and put the entire contents in a three-ring binder. With Michael's help I took my measurements and then I got to work on the basic men's bodice. 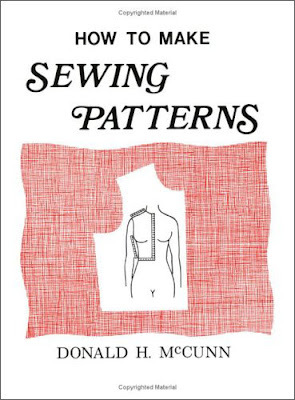 I chose this book because, unlike Dorothy Moore's pattern drafting book, McCunn directly addresses the male body and mens clothes. But there's a great deal of confusion about waistlines! In one section, addressed to both men and women, McCunn states clearly that the waistline is to be taken by tying a string around the narrowest part of one's midsection. He then explains that actually, ...men's pants are almost never designed to fit at the natural waist. They are 3-4 inches lower. What he doesn't say clearly is if a man taking his measurements should use his true waistline or not. In his description (on p. 19) of the CENTER FRONT/WAIST TO SHOULDER measurement he states This measurement is diagonally from the intersection of the Center Front and Waist (the navel) to the the Shoulder Point. Now I'm confused. Are we measuring from the true waist (the narrow point around which we've tied a string, some point 3-4" lower where our pants generally sit, or the navel? Maybe I just wasn't thinking clearly in my health-compromised state. Anyway, I drafted a bodice. And then I ran out of steam. 2) Feeling stronger, on Saturday I met up with MBP reader and self-described lurker, Jo of Vancouver, for a visit to the latest FIT Museum exhibit and a dig through the Chelsea Flea Market. That's Jo on the right. More about the exhibit, "Japan Fashion Today" later in the week but in a word: Spectacular. 3) Yesterday, on my own, I returned to the flea market, and made a completely unplanned purchase. Notice anything different about me, readers, beside the fact that I haven't shaved in weeks? Yes, boots! Dead stock (i.e., vintage but never worn) cowboy boots from the Seventies that fit great and feel super-comfy. Not bad for $40 -- less than half what I could have spent on a prized vintage sewing machine I didn't need and thanks to The Secret, knew it. This is the sewing machine in question, by the way, an Elna Lotus. Johanna, if you want her, she's yours (sob!). Craigslist, Brooklyn. Readers, today I return to the cranberry corduroy jacket. If Gertie can tailor a jacket and live to tell about it, so can I! But enough about me. What's up in your neck of the planet? P.S. -- I need to wear longer pants with those boots, right? Do you think they are too Glen Campbell? Naomi Campbell? Be honest. I am still very phlegmy (not a word I know)..it is entering my brain and making me dizzy, thus the deleted post above with all kinds of misspelled words. I love the boots...oh how I love them. I want a pair for me and everyone I know. They are wonderful. Pants DO need to be longer. Maybe a nice boot cut pant along with your western treadle shirt. So, when are you going to sew jeans? Or maybe you have and I missed them. I'll bet Jalie has some nice men's jeans. Awesome boots!!! And yes, you definitely need longer pants. I think you might need to do the next photo shoot! The boots look great, but yes, the trousers need to be longer. In measuring, you certainly have to do your waist measurement at the natural waist, even if for no other reason than the fact that will need the 'true' waist measurement for the bodice. The navel remark is probably another attempt to help the reader: on the average figure, the navel is more or less on the natural waistline. So, to sum up: ignore the remark about trouser waistbands when making slopers, when the instructions say 'waist' they mean 'natural waist'. P.S. in my experience, it can be hard to find the natural waist of a man. On a vast majority of women, the waist is a rather obvious narrowest point of the body. Because men are built quite differently, the difference is usually much smaller, or even (mostly on those who are not very fit) non-existent. Hence maybe the instructions about measuring at the navel. Donald McCunn has a yahoo site where you can ask about your waist question. There might be an email address in the back of the book also, I can't remember... maybe it's the yahoo address. You yourself caught the prob with the length of the pants, so you'll figure out the right look. Aren't bootcuts over in NY? I still see them in the midwest, but I thought slim pants were the style choice in the East. I'd choose slim with the boots, jeans and the cranberry blazer when you get it made. But that look may be over too; like I said I live in the midwest. Yes, we are all very polite, It is so no one will suspect our dastardly intentions. Just kidding. But really, Canadian are usually genuinely polite. We are really just that nice. ITA with Lauriana's comments about the waist thing. Definitely longer pants. But those are cool boots. Not quite so cowboy w/o the pointy toes. Better for NYC, I think. "Yesterday I attempted to plant the seed of prosperity in your lives with some timeless New Age wisdom and you responded with a shopping list worthy of a wedding registry at Bed, Bath & Beyond." Whatever happened to "we promise not to judge," hmm? HMM?! Just as well I didn't confide my secret longing for a monogrammed wax seal. If I wanted to be mocked publicly, I'd go home for Christmas. MUCH, MUCH longer jeans, if at all possible. Great boots! I was looking enviously at this machine in Craigslist this weekend (I live in Williamsburg), but it says it needs to be services. Did you run it ? Does it work fine ? D, I asked the seller this very question via email. She says that it simply hasn't been sewn with in 4 years but works fine. @Peter, thank you for the answer (that was fast)... I think I'm falling in love, with a sewing machine... Yes that's possible ! "Comfy"--I hate that word. It's usually a red flag. I see it on craigslist all the time, mostly to describe the skankiest looking sofas in the history of furniture. And, what's with the short pants? Maybe you need to work on drafting some appropriate boot cut jeans for your boots instead of the jacket. Love the colour of the boots! Yes, longer jeans, and I'd recommend boot cut, fashion be damned, as it's much easier to stand up after sitting and not have the jeans stuck to the boot shaft. Laces make getting the jeans down where they belong harder. Don't have an answer to the where's a man's waist, anyway, question, but I'd be wary of using the navel as a point of reference. Too bad it's not hot weather as a trip to the beach could help sort this out. I agree with Lauriana: use the natural waist line for the sloper. And have shamelessly added something to the wish list: a cast iron pinker that clamps to the tabletop. Lots of trendy young things in London seem to be wearing short trousers, including the delectable Patrick Grant (http://chichere.com/store/male-muse-patrick-grant-3284.html). Is it not the same in NY? Ah, now you see the appeal of jeggings! If I had more confidence I could probably pull off the highwater pants-with-boots look, but I don't think I'm up to the challenge in my current state. The boots aren't too bad, Peter. I do like the cool lace detail. As a Canadian, yes, we are that polite all the time. It's part of our national heritage. I love the boots! I would say longer pants. I have an Elna Lotus and I love it! It's so portable. Mine was $25.00 though, couldn't pass that up. Are you mad?! How can you pass on that machine. An Elna Lotus is so cute and tiny. You could hide it any number of places. If I lived anywhere near NYC, I'd be hunting it down myself. You just don't see those in Southern Indiana. Oh my! The narrowest part of the midsection could be anywhere....like just below the breasts or just above the "best china"....for both sexes but especially men, company excluded of course. I was always taught that the waist is right above the hip bone. Rest your hands right above the hipbone with your thumbs pointing to the back and the forefinger pointing straight ahead. And that should be your waist. That is what I use for men and women's wear. But I haven't made a man's pattern from scratch so maybe I am wrong when pattern making. Well, for someone so sick you've been a very busy bee! Sorry I can't help with the location of your waist - it took me a while to work out where mine was. The boots are excellent - very stylish and sturdy - what a great find. Longer pants would be good - or maybe shorts, I think shorts would look pretty cool with those boots? I think you're confusing me with Liberace (not that it hasn't happened before). LOVE the boots. Yes to longer jeans. Although I do wonder what's the point in men having cool long boots if they're just covered up by jeans? Still, I don't think that excuses men's 'jeggings', ugh, or that word at all. I'm sure the Elna is practical and all but I like prettier old machines. Too plain for me, I think the boots were a much better buy. Peter - mom2five beat me to it... Don McCunn has a group and/or a web site *and* has online classes from time to time, I believe. As for waistline location, depends on which "expert" you ask. Have you considered taking Kenneth D. King's Moulage workshop? He probably lives around the corner from you in NYC. If you can swing the one thru PR, that is a great price. You should join Don's group. So much knowledge! I, aside from sending psychograndma home to her own house (glory hallelujah!) am making a "fairy princess crown" for Evie's Halloween costume. Apparently, it's a hit, because she kept stealing it this morning to wear it around the house. And this was before I got the ribbons attached to the back and all the ribbon roses sewn on! Peter judging by certain pictures of yourself with ahem a sewing machine - your waist measurement seems to stay the same for a few inches up and down your torso, being the fit creature that you are. Therefore go for the navel. I agree with Diane, join Don's group. He's an active member of the group and always answers questions. A while ago, when an Elna Lotus wasn't vintage, there was one in the staff room of the preschool where I taught. After school I used it to make children's clothes which we sold to raise money for toys and art supplies. Smoking as I sewed, ah for the good old days! It was a horrible machine. Those boots look like a pain to put on everyday! Jeremy, the lacing is strictly for decoration. You don't have to unlace them to take them off (or put them on). Thank goodness! Hi Peter and followers. In early 2009, I bought an Elna Stella in Winnipeg (Canada) for $50 CAD. The lady selling it said that she had a horrible time getting the bobbin threaded properly. It was missing most of its accessories, the manual was included. I restocked the accessories, cleaned it up and solved the bobbin issue by buying Elna bobbins for it. I actually sewed beautiful, precise stitches with it about three times. As cute as she was, we never bonded...I sold Stella on ebay for $300 USD in March 2010. I very much prefer my Singer 15-91, Necchi Lelia or Bernina 900 to the Stella. Stella was too small. Currently, I am looking to purchase a Singer Genie. 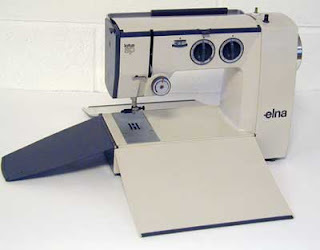 In September I gifted a 1976 Elna Air Electronic to one of my grown-up nieces. The Genie would be for her sister. Ideally, my sewing wish would be to downsize the sewing machine collection to just eight...at the moment I have 13 in the craft emporium, counting the serger. Have a super duper Friday all.